Coming out of left field today is the tease of a sci-fi project that we haven't heard anything about. 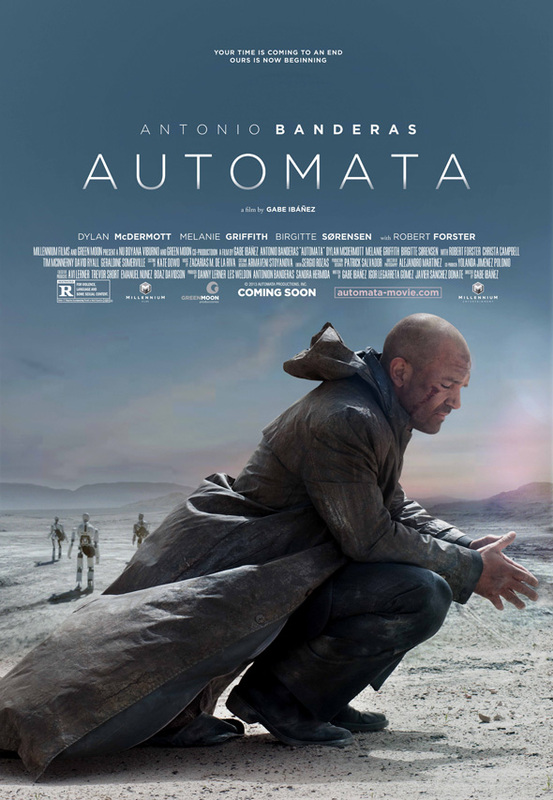 Automata comes from Spanish filmmaker Gabe Ibáñez, and wrangles Antonio Banderas back into one of his rare sci-fi roles after playing with Spy Kids and The Skin I Live In, two very different films in the genre. This time he's diving into the future, about 50 years to be exact, and he's playing an insurance agent responsible for looking into cases regarding defective androids. Now two posters have popped up showing off a bald Banderas along with some of the robots in the film. It has a Mad Max meets District 9 vibe. Look! 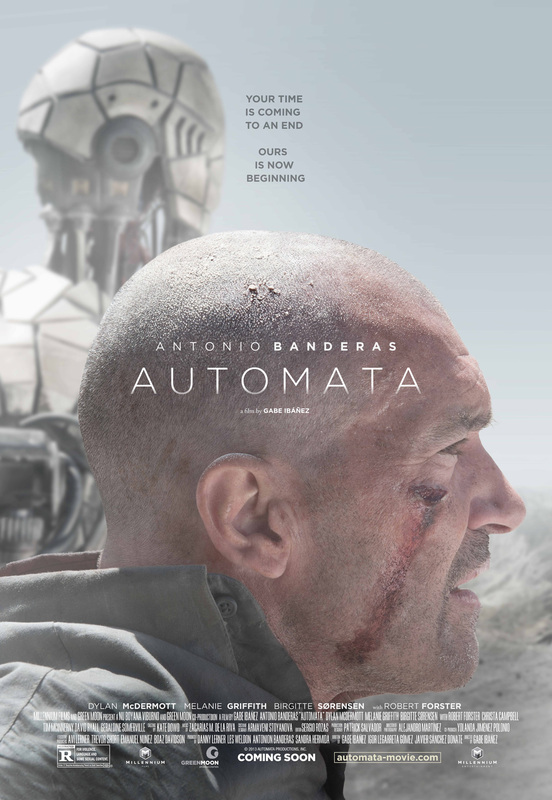 Automata is directed by Spanish filmmaker Gabe Ibáñez (Hierro) from a script he wrote with Igor Legarreta and Javier Sánchez Donate. The film, set 50 years in the future, follows Antonio Banderas as Jacq Vaucan, an insurance agent of ROC robotics corporation routinely investigates the case of manipulating a robot. What he discovers will have profound consequences for the future of humanity as he uncovers a truth that is far more complex than the make or model of any machine. Melanie Griffith, Dylan McDermott, and Robert Forster also star in the film which hits VOD and limited theaters this fall on October 10th. Interested? Ok! Could be good. Lets see a trailer. I sort of like that the second poster has the credits halfway, up by the title and then the rest is the photo. Robot focused scifi? Where do I sign up at? VERY MUCH IN!!! Looks great. Banderas needs a good vehicle to get him back into the spot light. Artilect War? I prefer the Her version, where Samantha and her ilk exceed us in all ways, and then just leave to go become gods or whatever. No need to kill us, just let us be.